A short stroll down the road will take you into the maze of tiny cobbled streets (that the locals affectionately call 'downalong'). Here you will discover a wealth of independent shops, cafes, artist studios and picturesque cottages retaining the traditional charm of this historic fishing village. St Ives is a haven for the food-lover, where everyone's tastes are catered for within the large range of restaurants, cafes and public houses. From good quality pub steaks in the cobbled Fore Street to award winning fine dining on the beach, St Ives has it all on offer. 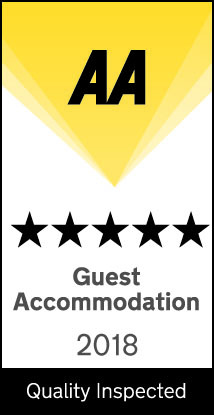 Whatever you prefer we will be able to recommend somewhere to suit your tastes within walking distance of the guest house.